Jeffrey D. Levine, LCSW-R is a psychotherapist and clinical hypnotherapist in private practice in the Nyack, New York area. 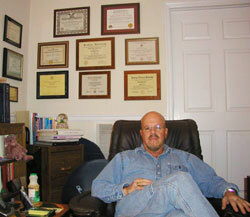 He specializes in individual and relationship counseling for an array of mental health and emotional issues. Department of Social Services, Greenwich CT (Program Coordinator, working with a largely dual-diagnosed population. Psychological evaluation and relapse counseling. Counseling individuals with HIV and AIDS. Clinical supervision of students from Western Connecticut State University. "For 33 years I had lived my life from a very guarded place, scared and never trusting anyone...what a lonely place. Two and half years ago all that began to change for me when I had the unique opportunity to cross paths with you. Although other therapists’ styles and techniques were unsuccessful with me in the past, I remained reluctantly open to you. You are the man who has guided me on the path that has changed my life forever. Thank you for all you have done for me and given me."